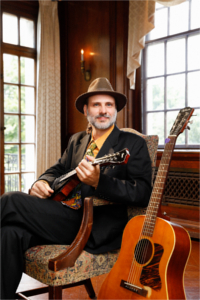 Danny Knicely is a multi-talented musician and music producer from the Shenandoah valley of Virginia. He is constantly active performing and recording his own music and working with other musicians and dancers. Washingtonian Magazine's article, Best of Washington 2018, calls Danny a world-class mandolinist! Thank you so much for supporting my annual concert. Unfortunately, the concert has to be canceled. Our guitarist has gone to spend time with his mother who is in her last days. Our thoughts and prayers go out to Wyatt and the Rice family. Stay tuned for next years concert and please sign up for my mailing list here on the website for an occasional update on all my projects. Click for larger image (download, too). 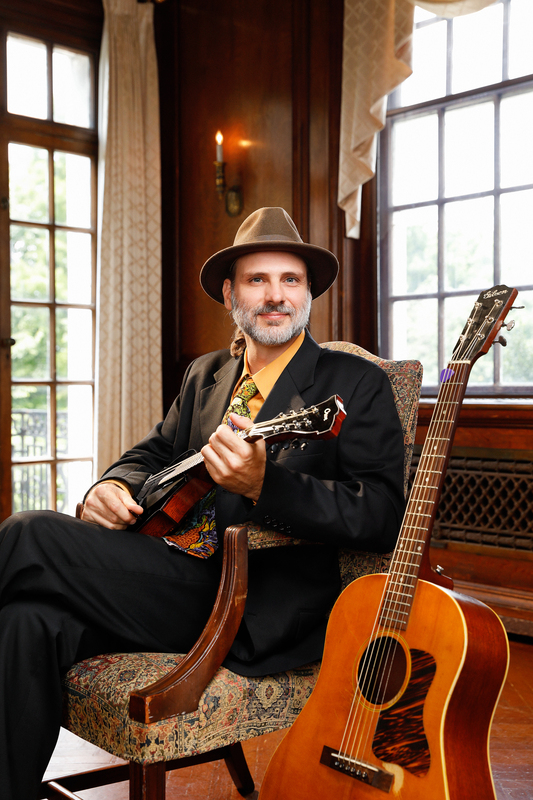 Danny Knicely returns to the Franklin Park Arts Center on Febrary 2, 2019, for his 13th Annual Winter Concert. World renowned multi-instrumentalist Danny Knicely continues to dazzle audiences annually with a variety of world-class performances. 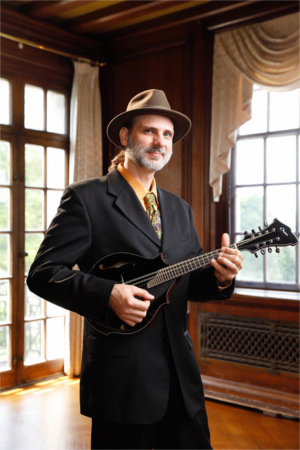 This year he will present the finest in Bluegrass music featuring an all star lineup! Tickets: $20 advance, $25 door. On sale now in the Store. This is exquisite Bluegrass by Virginia's finest! Will, Danny and John navigate a deep and intuitive current of time, melody and harmony that will move you. Their new project, called The Evenin' News, includes originals, old favorites, a cappella and hot instrumental numbers, and tight harmony singing takes a spotlight with Will's smooth lead and baritone, Danny's cutting tenor and John's soaring high-baritone. 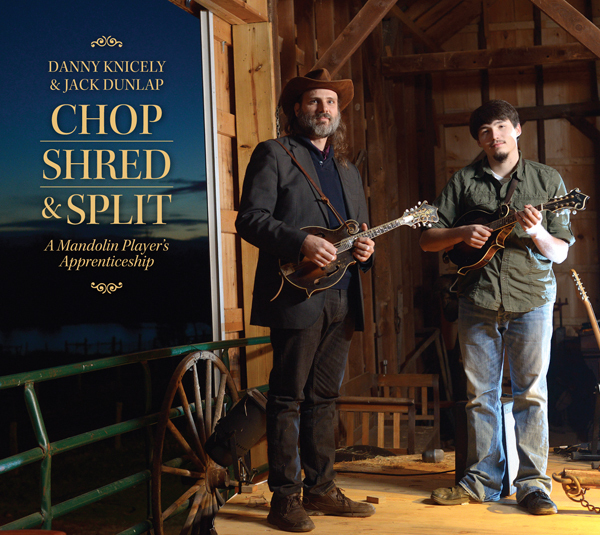 Danny and John are both known for their work with David Via and Corn Tornado in the early 2000s, while Danny and Will released a well received duet album in 2006 called Murders Drownings and Lost Loves, but the three first performed together as part of the award winning Magraw Gap in the mid 1990s. You can buy the new album now in the Store. Danny & Jack Win a WAMMIE! 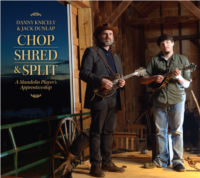 Chop, Shred & Split, Danny's duo album with Jack Dunlap that they 'released in September, won a WAMMIE award from the Washington Area Music Association for best bluegrass recording. You can buy it now in the Store. Danny has been chosen to serve as a mentor in the Strathmore Music Center's Artist in Residence (AIR) program. A flagship program of Strathmore’s Institute for Artistic and Professional Development, AIR was created more than a decade ago to support artists as they transition to professional careers. After a competitive selection process, a class of six is chosen every year to benefit from the support of mentor musicians, participate in professional development seminars, and enjoy extensive performance opportunities throughout the 10-month program. Danny will perform with other mentors of the program on November 28, 2018, at AMP Powered by Srathmore. Danny mentors bassist Eliot Seppa. Eliot Seppa is an upright and electric bassist, composer, and bandleader. Eliot began studying classical bass with the late George Vance and performing classical music when he was nine years old. Eliot received a Bachelors Degree in Music from Howard University in 2013 and a Master's Degree from the same institution in 2018. Eliot has been active in the DC/Baltimore and East Coast jazz scenes since high school. While studying at Howard, he "cut his teeth" playing jazz gigs almost every night. Eliot has performed with local and touring artists at all of DC’s major venues, including the Kennedy Center, Blues Alley, the Hamilton, Union Stage, the Lincoln Theater, and the Howard Theater. 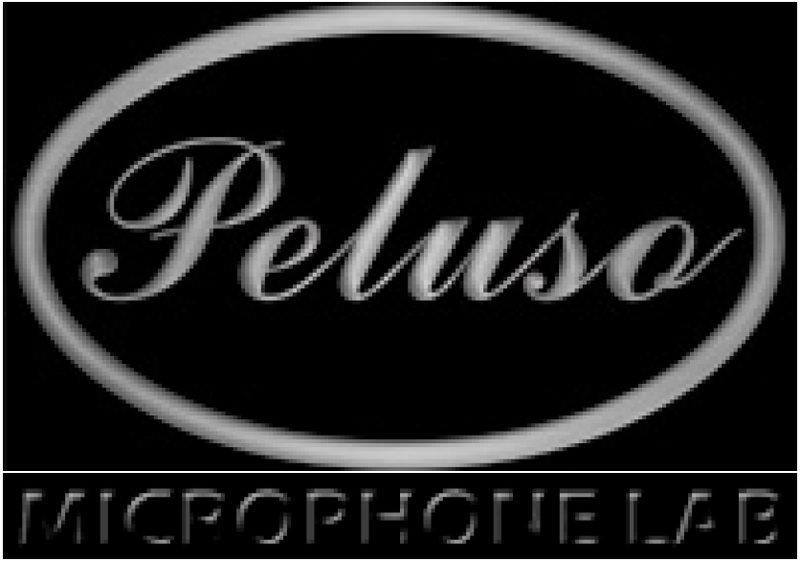 He has had the honor of performing with internationally renowned straight-ahead jazz artists such as Cyrus Chestnut, Warren Wolf, Benito Gonzalez, Chuck Redd, Sarah McKenzie, and Sharon Clark. He can be seen performing around the DC area often with the Bohemian Caverns Jazz Orchestra, the Donvonte McCoy Quintet, Todd Marcus, and many more. Eliot has also made a name for himself as a bandleader and composer, presenting groups at many venues and events around the DC area, including the DC Jazz Festival. He has recorded upright and electric bass on many albums of many different genres. He has also performed on radio and television on programs such as NPR, the Kojo Nnamdi Show, “Live at 5” on WPFW, Fox News, DC Public Television, Maryland Public Television, and more. Multi-Genre violinist/fiddler Seán Heely is rapidly emerging as one of the most creatively versatile and captivating young artists of his generation. Seán is equally at home with a large variety of musical genres which include: Classical, Scottish, Irish, Bluegrass, and Gypsy Swing. He is a Scottish National Fiddle Champion as well as an award-winning Irish Fiddler. Seán holds a degree from University of South Carolina in Classical Violin Performance. He has recently been named one of six to participate in Strathmore Music Center’s prestigious Artist in Residence Program where he will present concerts and educational workshops in May 2019. Seán has been on the faculty at several summer camps such as Acadia Trad School and Upper Potomac Fiddle Retreat. He was selected to compete in the prestigious Fleadh Cheoil na hÉireann All-Ireland Senior Fiddle competition in August 2017. He has performed with traditional music icons such as Irish fiddle legend Liz Carroll, acclaimed Scottish fiddler Pete Clark, cellist virtuoso Natalie Haas, and uilleann piper Paddy Keenan. Seán recently released his debut album, “Edge of the Bow”, which takes its listeners on a thrilling musical voyage through Scotland and Ireland. The Folklife Apprenticeship pairs an experienced master artist with an eager learner in order to help ensure that a particular art form is passed on in ways which are conscious of history and faithful to tradition. 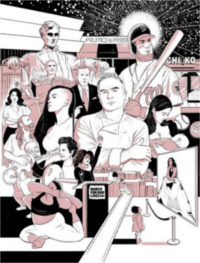 The master artist is one who has achieved a high level of skill in the traditional art form, who is regarded as a master of the craft by his/her peers, and who has learned and developed his/her skill within its traditional context. The apprentice is one who has demonstrated an interest and competency in the art form prior to the apprenticeship, and who shows a sincere commitment to learning the nuanced qualities of the tradition, and carrying the tradition on into the future. 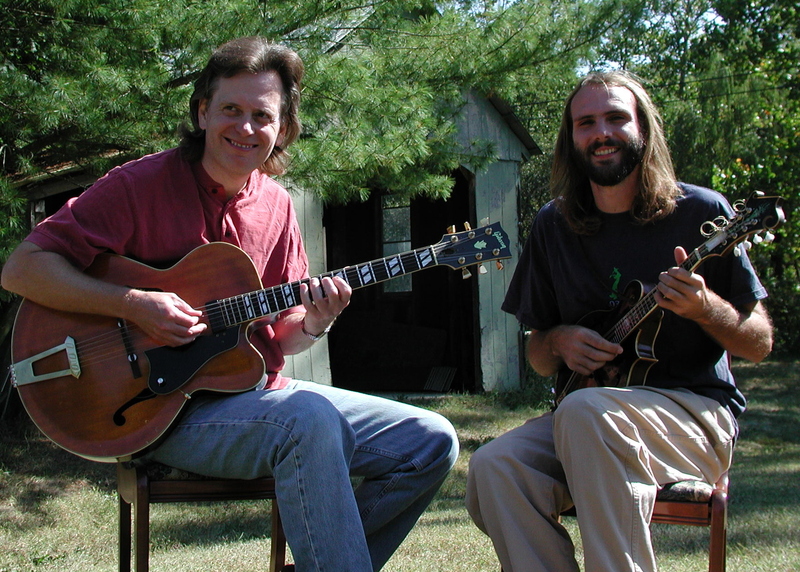 Danny is apprenticing in jazz and swing guitar with master artist, Bert Carlson, of Bath County, Virginia. Bert has been a professional guitarist since 1976. Well versed in many styles, he has the amazing ability to jump from genre to genre and era to era within an instant. He is originally from the upper midwest, where he taught at Illinois State University and Lincoln College. He moved to Washington DC and has played at The Capitol and The Kennedy Center. Bert has played with artists ranging from Louie Bellson to Doc Watson and Wynton Marsalis, and has even played for Captain Kangaroo. Their achievements and those of other participants in the program were showcased at Ash Lawn-Highland near Charlottesville on May 5 2019. Other apprenticeships for this year's program include baklava making, hot-rod rigging, Mongolian contortion, and moonshine making. For more information on Virginia Folklife's Apprenticeship Program, check out a book by Virginia's state folklorist, Jon Lohman, called In Good Keeping, which documents the first five years of the project.